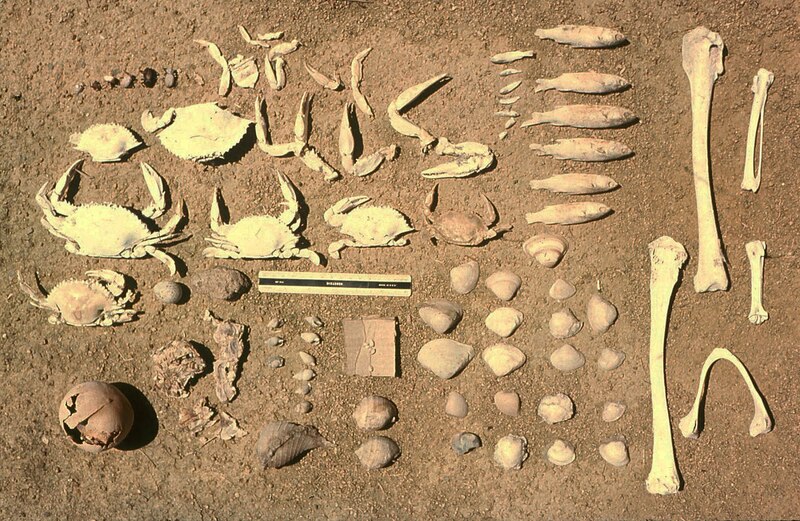 On August 8, 1976, while on a field trip to the San Felipe area, northern Baja California, I and my colleagues spent a day looking at the biology of a strand-line (shoreline) assemblage at the westernmost limit of a large coastal sabkha (uppermost super tidal-flat environment). 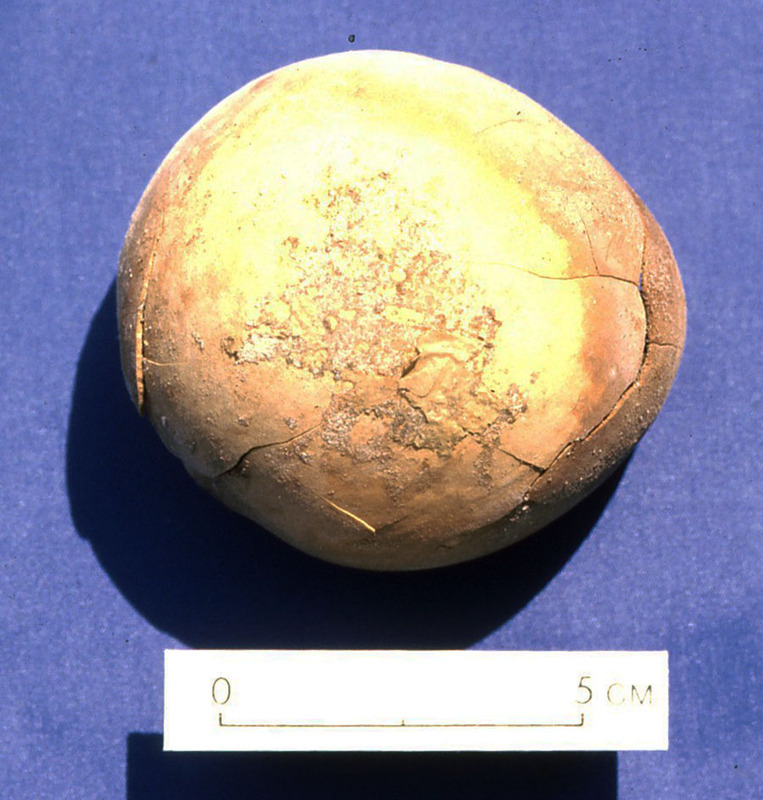 This assemblage, which is shown below, was collected at a locality 3 km (2 mi.) east of Mexico Highway 5 and about 60 km north of San Felipe. The locality is on the west side of the Colorado River Delta. The delta has undergone significant environmental change since the building of dams across the river and subsequent diversion of water. The influx of freshwater into the delta region was greatly reduced and, therefore, there has been increased salinity in the region. Location of the sabkha (white area) and locality area, plotted on a Google Earth (2018)-generated image, is shown above. Spring tides (new and full Moon phases) in the northern Gulf of California (present day) are known to be some of the highest in the world (and most dangerous). They can have a spring-tidal range of up to 10 m, with an accompanying tidal-bore front as much as 1.5 to 3 m high in an almost vertical wall of water moving at about 2 knots. View due east (toward the ocean) of the salt-incrusted mudflat of the sabkha just east of the strand-line locality. 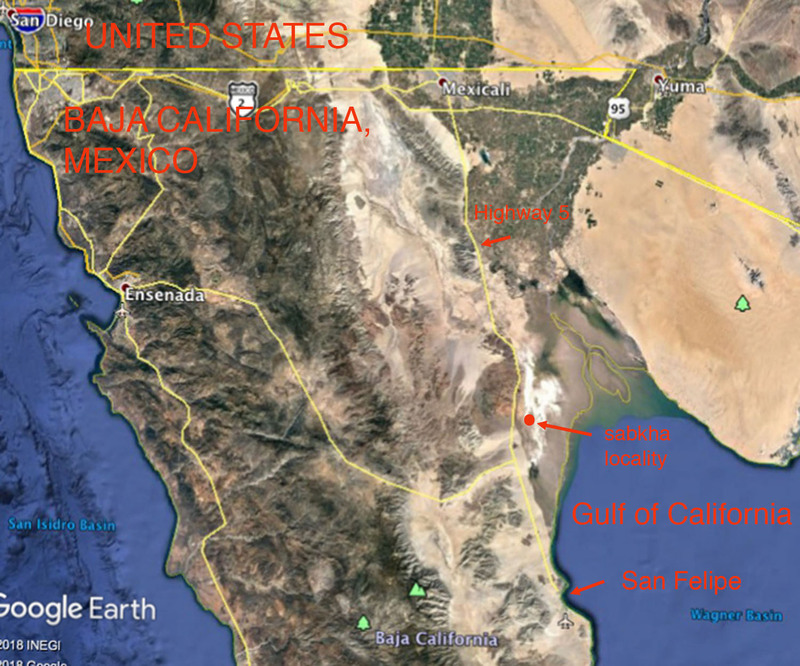 The open waters of the Gulf of California were several kilometers (10 to 13 km) away, but standing water with salt covering the water occurred about 300 m east of the strand line. This low-lying sabkha usually floods in the summer during very high spring tides. The grooves are salt-encrusted tire tracks, made by off-road enthusiasts driving across the very muddy surface. This would have been a highly risky undertaking because of the high likelihood of getting stuck. 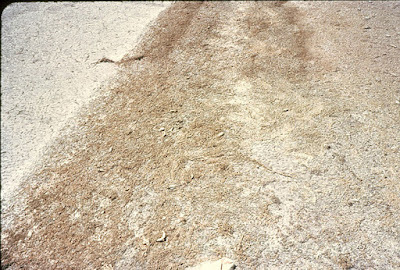 Closeup of the moist, muddy ground in the immediate area of the strand-line locality. Pen is 13 cm length. 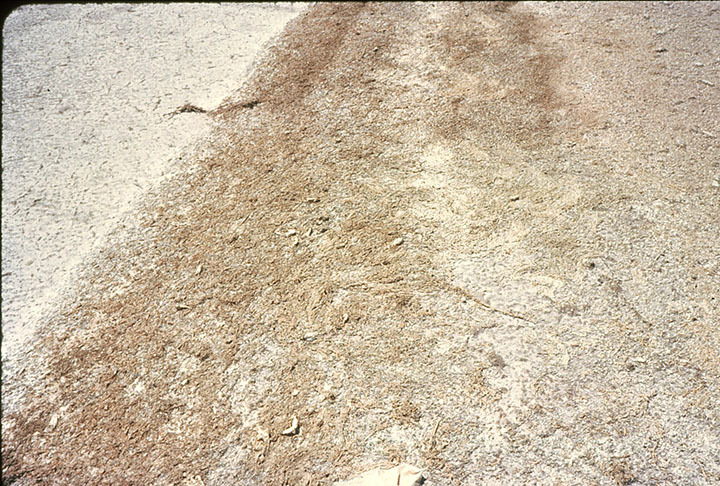 View of the August 8, 1976 strand-line locality. The week before (July 25–28) I visited the site, there was a spring tide (new moon), associated with high tides. Remains of fauna and flora found along the strand-line zone (about 20 m wide) include scattered pieces of wood, gourds, beetles, bird eggs, a few nearly complete birds with feathers intact (not shown above), bones of the brown pelican [Pelecanus occidentals californicus, not shown here], land-mammal leg bones and jawbones, algal scum, whole fish (up to 20 cm long), whole crabs, single and broken valves of bivalves, gastropod shells, and also some glass floats used by commercial fishermen. The scale is 25 cm long. The fauna and flora represent a mixture of some terrestrial life and abundant marine life, all confined to the 20-m wide zone. Immediately east of the strand line, the salty mudflat was essentially barren of lifeforms. To the south of where the remains were found, a thin lobe of alluvium extended into the strand-line zone. 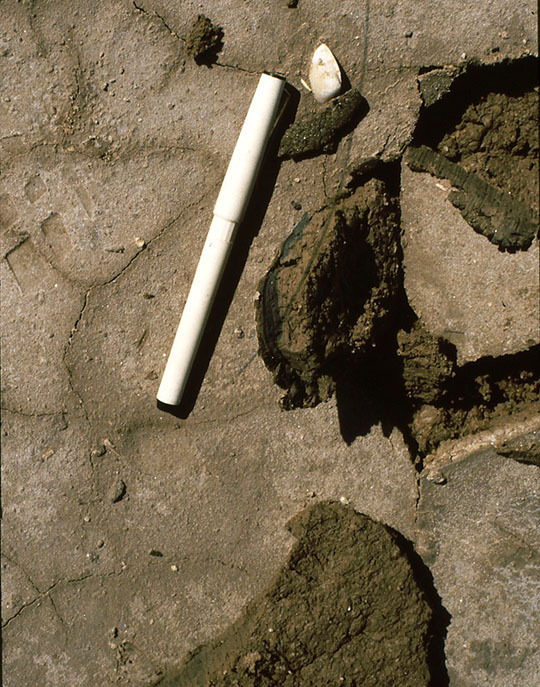 The lobe was related to a flash flood, which transported small pebbles to large cobbles of igneous rocks (including pebbles of pumice), large wood fragments (see image below), and beetles into the strand-line zone. West of the strand line there was sparse chaparral vegetation (e.g., some ocotillo plants). The following images show closeups of some of the strand-line biota. Cryptoglossa verrucosa ground beetles. They were young adults to adults and complete with legs, mandibles, and antennae. Their soft parts had been mummified. Mugil cephalus, a mullet fish (encrusted by salt residue). 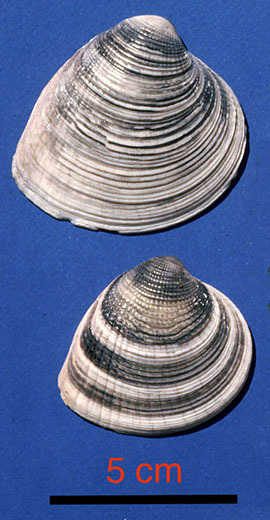 This fish occurs in coastal estuaries and lagoons throughout the region. 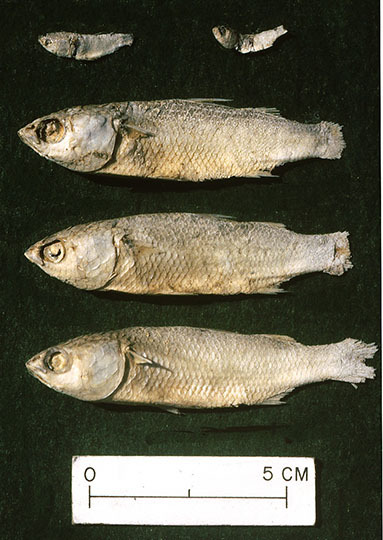 Specimens found at the strand line were mostly complete and well preserved, with skin and fins present. The specimens ranged from tiny juveniles to large adults. 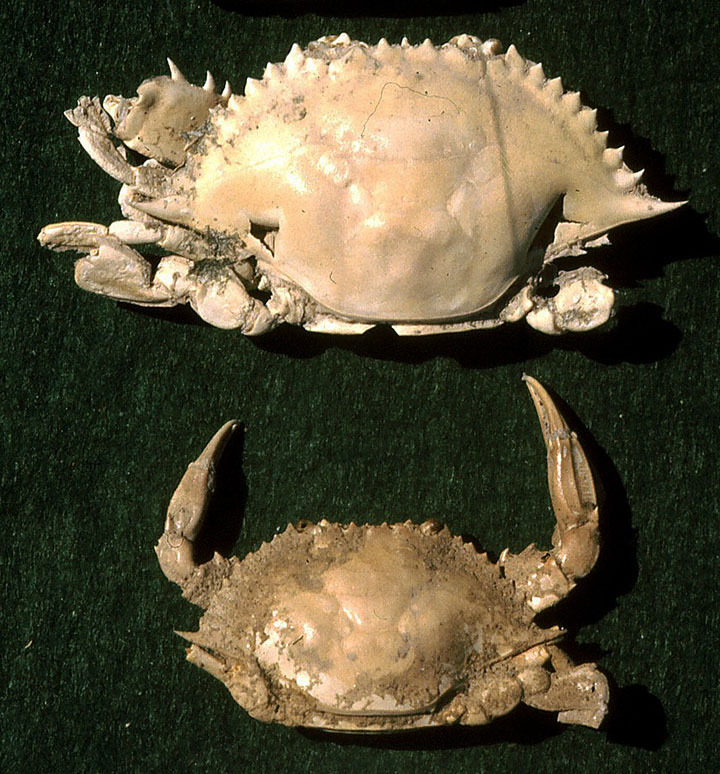 Callinectes bellicosus, a "swimming crab" (largest specimen approximately 12 cm wide). 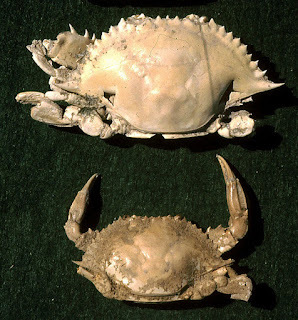 This crab lives in mudflat channels and nearshore areas. 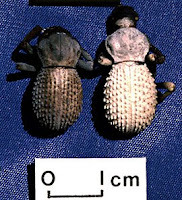 The specimens found at the strand line showed excellent preservation: Most are complete with legs, chelipeds (claws), numerous sharp spines along the edge of the carapace, and both young adult and adult specimens were found. None showed any signs of abrasion. Some were bleached. 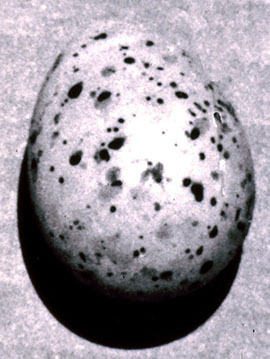 Locally, concentrations of only the chelipeds were present. Large glass floats (each one about 16 cm diameter), used by commercial fishermen for their fishing nets. note: All the pictures of the remains were taken 42 years ago, as Kodachrome slides, which I scanned and converted into digital images.